Myths seem to die hard. Especially so in this country where it is a popular pass-time of some people to find faults with anyone of great stature. As it happens, the common man, who has neither the time nor the desire to probe deep to find the truth, tends to believe a well-spun myth. One such myth relates to our National Anthem, popularly known as the “Jana Gana Mana” – pronouncing victory to “Bharata Bhagya Vidhata” (Ruler of India’s Destiny). The gist of the controversy is that the song, sung at the Calcutta session of the Indian National Congress in December 1911, was an eulogy to King George the V who visited India in the same year. Tagore-baiters – both his contemporaries and some of later origin – use this tenuous link between the song and the King’s visit to sully the image of one of the greatest patriots the country ever produced. These crtics cared little for the meaning of the extremely fine piece of poetry as they knew very well that their objections were out of their personal dislike of the Poet. Since then, despite the Poet himself clarifying the background of the poem, the controversy continues. Every year, around the Independence Day some ignoramus or the other would dig it up and newspapers would publicise such idiotic diatribe against our National Anthem. This time a Muslim Cleric from Uttar Pradesh has raised the red flag to stop Muslims from singing the song. His objection is somewhat like this: ‘the song was written in praise of a British monarch. For Muslims the only Bhagya Vidhata is God and, therefore, they can’t sing the National Anthem’. For the edification of this worthy and his ilk it will be interesting to see what Tagore himself wrote about the reason for his composing the poem. In a letter addressed to Pulinbehari Sen, Tagore wrote, “A certain high official in His Majesty’s service, who was also my friend, had requested that I write a song of felicitation towards the Emperor. The request simply amazed me. It caused a great stir in my heart. In response to that great mental turmoil, I pronounced the victory in Jana Gana Mana of that Bhagya Vidhata of India who has from age after age held steadfast the reins of India’s chariot through rise and fall, through the straight path and the curved. That Lord of Destiny, that Reader of the Collective Mind of India, that Perennial Guide, could never be George V, George VI, or any other George.”….. (Emphasis added). The language of the poem is ‘superfine’ Bengali, which is very close to Sanskrit and chaste Hindi. Any one knowing one of these languages can verify if it even remotely praises any ‘worldly’ monarch; but then, who cares for the meaning? Someone said it was written for a King. That must be true! Another objection is that the song does not mention all the provinces of India. Furthermore, it mentions ‘Sindhu’ or Sindh which, at present, is a part of Pakistan. How can we, patriotic Indians, sing in praise of a Pak Province? If there be any prize for stupidity, indeed these patriots deserve it many times over. If Tagore had produced a custom-made song (to be, in future, used as our National Anthem) he might have tried to include almost all the provinces in it. I say ‘almost’ because even in that song Sikkim, most states of the north-east, Jharkhand, Chhattisgarh, Telengana and God knows which other parts, would still have remained unnamed! By this logic, every time we add a new province or, God forbid, cede any territory the Anthem should change! What should I call such an argument – absurd, ridiculous or stupefying? I do not know. Our National Anthem, even if it is an eulogy, is an eulogy to God – the only ruler of the destiny of not only the Muslims, but of all Indians and indeed of all human beings. The objection to the Anthem on this score is without any basis. Muslims too should have no objection to it, as it glorifies the Lord and none else. My own feelings about the song are immaterial. 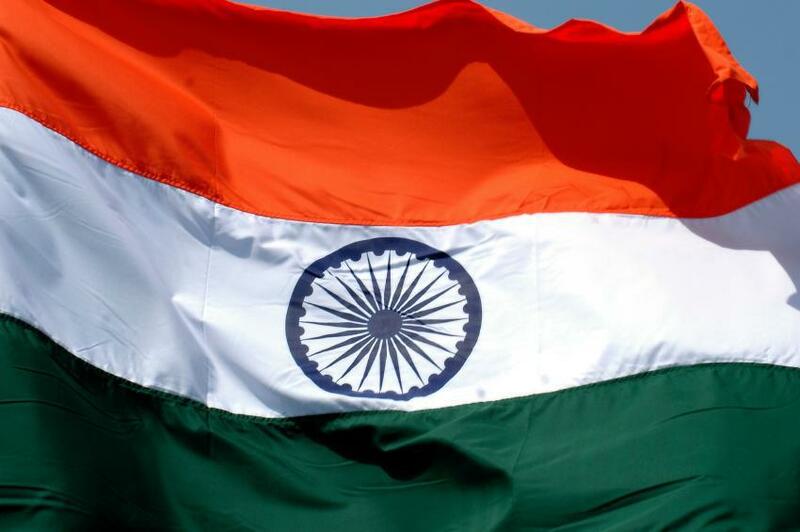 But whenever it is sung, does it not produce, in every patriotic Indian, a great emotion and an exalted love and feeling for this great land of ours? Don’t our hearts throb with its tune and don’t we have a picture of the whole of India unfolding before us, as we sing along? There lies the greatness of our National Anthem. Let us forget all controversies and tomorrow, as the National Flag is raised, let us say in one voice, “Jaya Hey Bharata Bhagya Vidhata”. A Very Happy Independence Day to all.